Mason City offers both industrial services and container services. Container options include a number of different lugger boxes, semi-trailers and large roll-off boxes. Additional options include sealed tubs, covered tubs, dumping hoppers, barrels, and/or metal boxes. Material is picked up in a timely fashion, with superior service and top notch pricing. 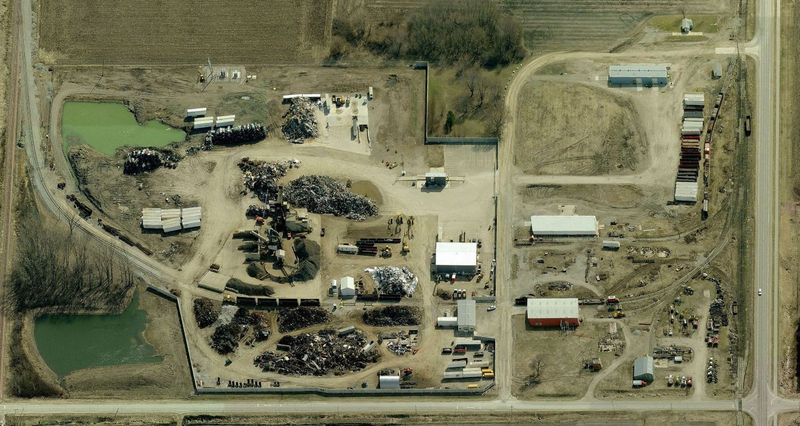 Mason City is home to one of our automobile shredders. The football field-length 4000hp Metso 74104 shredder can shred complete automobiles in the upwards of 75 ton per hour or roughly 1-2 cars per minute. The worn out vehicles are turned into clean, reusable, shredded steel and the non-ferrous metals are recovered using a state of the art separating system to reclaim metals like aluminum, copper and stainless.